My name is Davi Kopenawa Yanomami and I am a shaman and spokesperson for the Yanomami tribe in the northern Amazon. Many years ago, my people were in a terrible situation. Our land was invaded by miners. A fifth of our people died from diseases we had never known. People don't see what’s happening in the Amazon because it's a long way away but there are many problems on our land and in our communities. There are gold miners, cattle ranchers, hunters - all sorts of people invading our land, causing damage and eating the animals and the forest. We raised our voices. We said, give us back our lands and our health before it’s too late for us and too late for you. Our land is ours. We’ve always lived there. If they throw us out where will we go? On to the streets or into the slums? Survival International helped us to be seen and heard around the world. They work and fight a lot. They helped us Yanomami get rid of the gold miners and demarcate our land. Because of their work a lot of people know our Yanomami name. 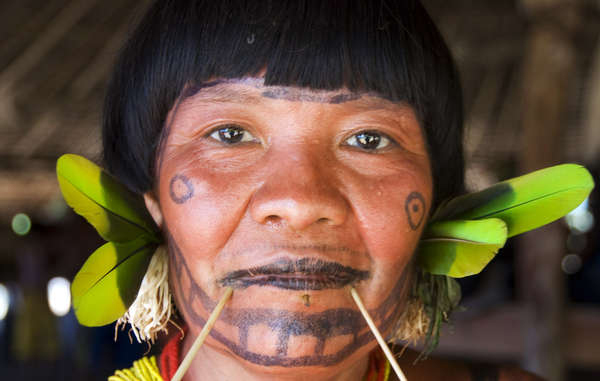 We Yanomami know we have lots of friends and they will not let the gold miners back on our land again. I need help from you because you live in a different world. Now the Yanomami have our land mapped out and protected, and things are a lot better. But other indigenous people, in Brazil and in other countries, need friends too. A big hug to all my friends in Survival. Survival fights for the rights of indigenous peoples in the whole world. I like Survival a lot. To enquire about volunteering with Survival International, please fill out the form below.